We hold valid certificates for for what we do. Here are the important ones. 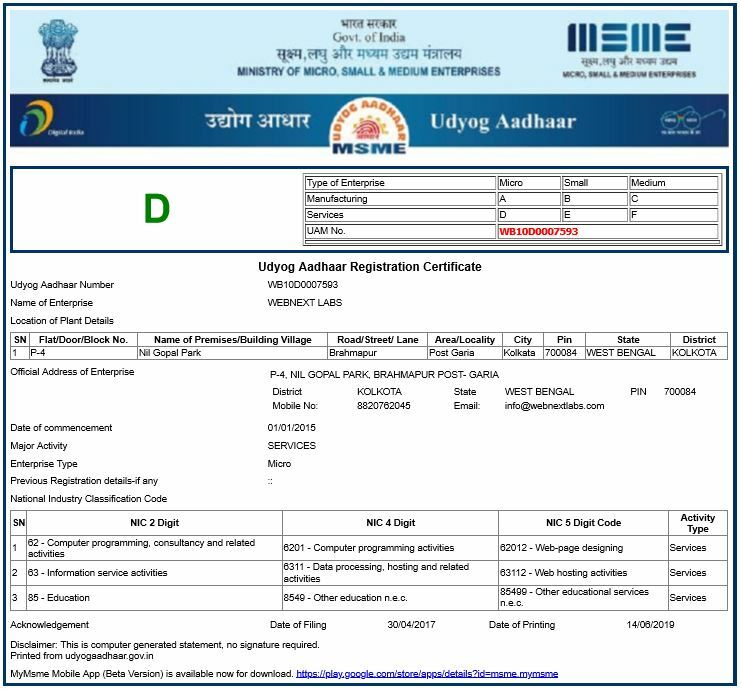 WEBNext Labs™ is registered with the Government of India under the MSME(Ministry of Micro Small and Medium Enterprises) Act. 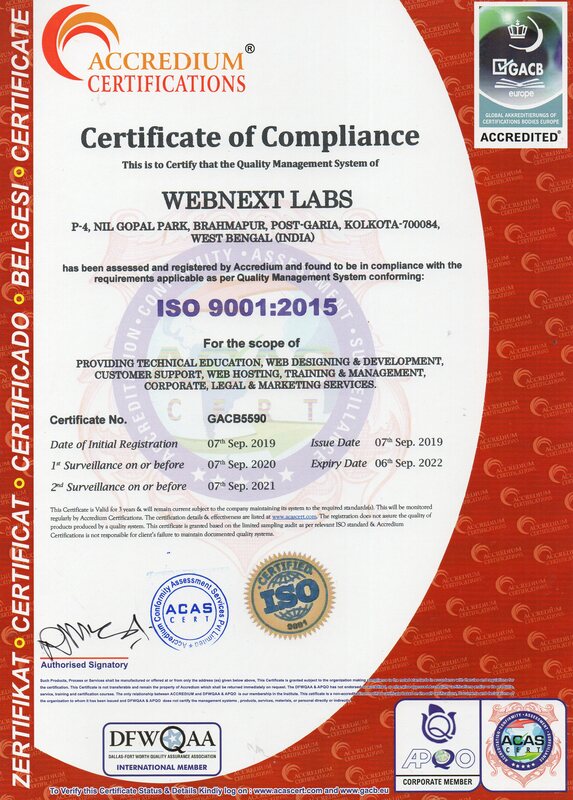 WEBNext Labs™ maintains the quality standard as prescribed by the International Standards for Organization. 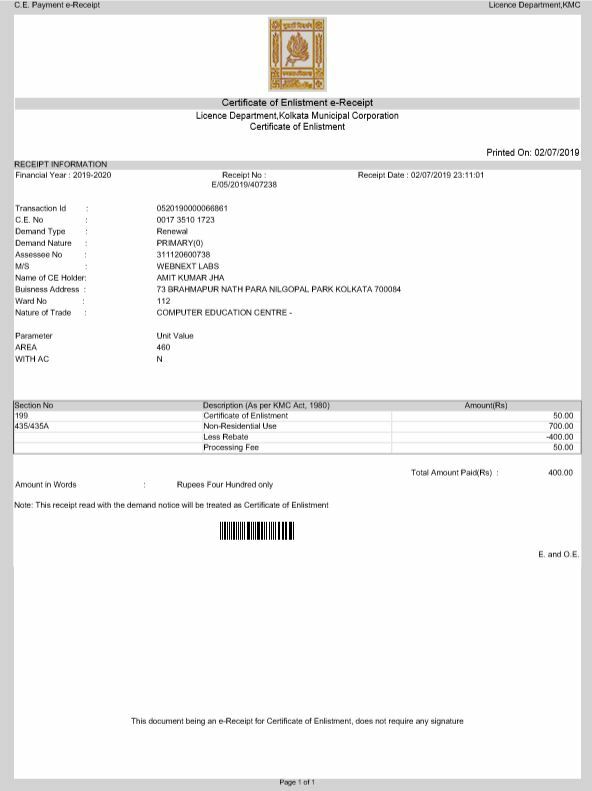 This has been accessed and certified by GACB, Europe.